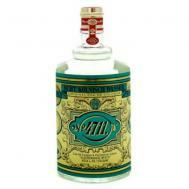 4711 Original Eau de Cologne is one of Germany's oldest brands. For more than 200 years, it has delivered on its promise: using this unique fragrance refreshes the mind, body and soul. The secret formula for 4711 Original Eau de Cologne is still appreciated across the globe today, making this ‘aqua mirabilis’ an unparalleled classic. 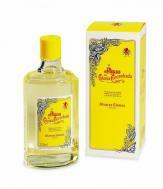 4711 Original Eau de Cologne is one of the world's oldest brands. Made in Germany for more than 200 years, it has delivered on its promise: using this unique fragrance refreshes the mind, body and soul. The secret formula for 4711 Original Eau de Cologne is still appreciated across the globe today, making this ‘aqua mirabilis’ an unparalleled classic. 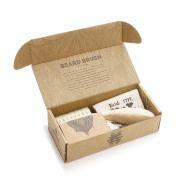 Kent Hipster Beard & Moustache Brush, originally created in the 1700's as an essential grooming tool. 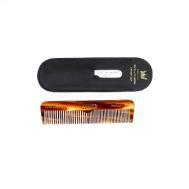 This Kent beard brush is 6 inches long, and is packaged in a raw cardboard box with a cotton carrying pouch included. The Kent Wet Set Blended Bristle Shave Brush, Skin Conditioning Menthol Shave Cream, 75ml and shave brush stand. The perfect gift!